Countertops are an important part of many storage system installations. 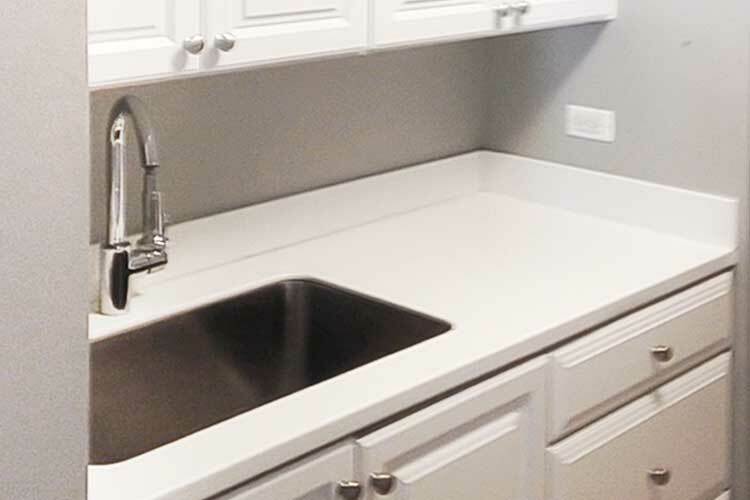 Whether you choose a matching or contrasting color, the countertops are a highly visible element of the design that will pull your space together. Closet Works manufactures our own countertops in the same 3/4 inch laminate used on the rest of your system. 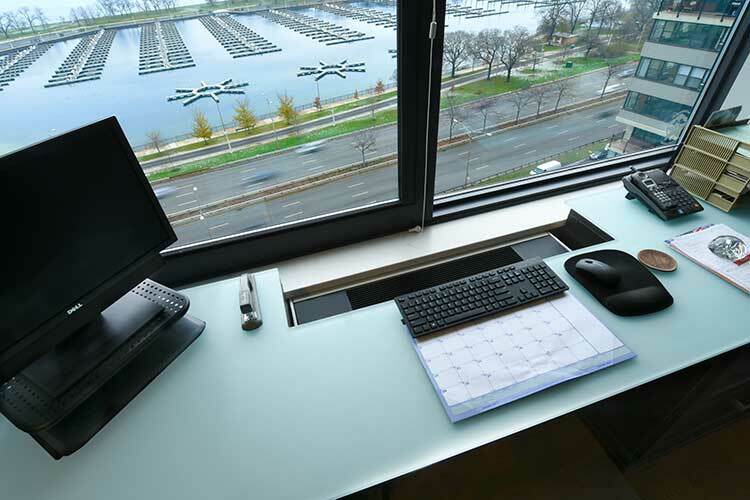 Optionally, we also manufacture countertops, bench tops and desk tops in 1 inch heavy-duty HPL laminate or wood veneer. 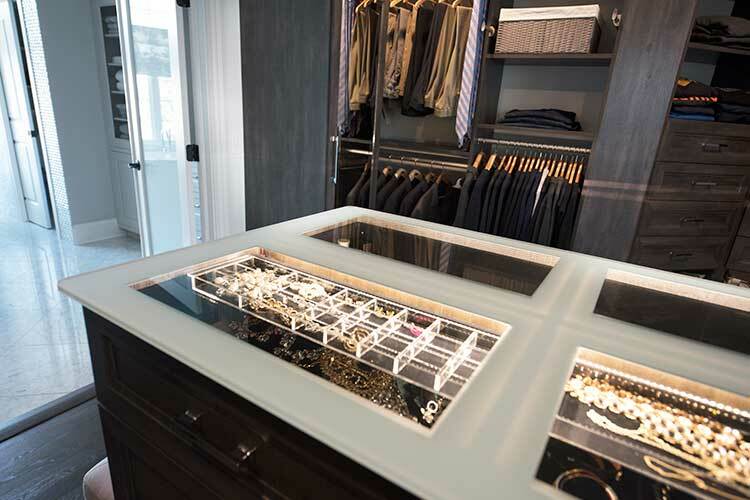 Custom glass countertops, with or without integrated lighting, are also available through Closet Works. 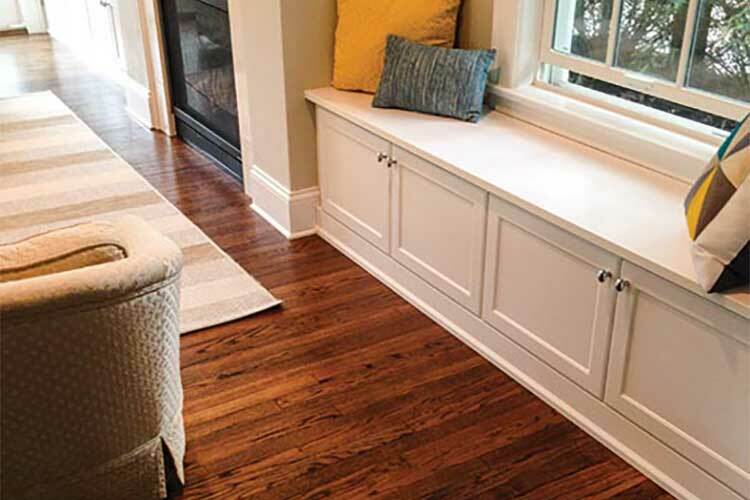 Look to Closet Works for the widest selection of laminate and veneer countertops to finish off your project. We manufacture our own 3/4" TFL and veneer countertops. are available in the same 55 colors and finishes that our closets and other organization systems are made from and will be an exact match. 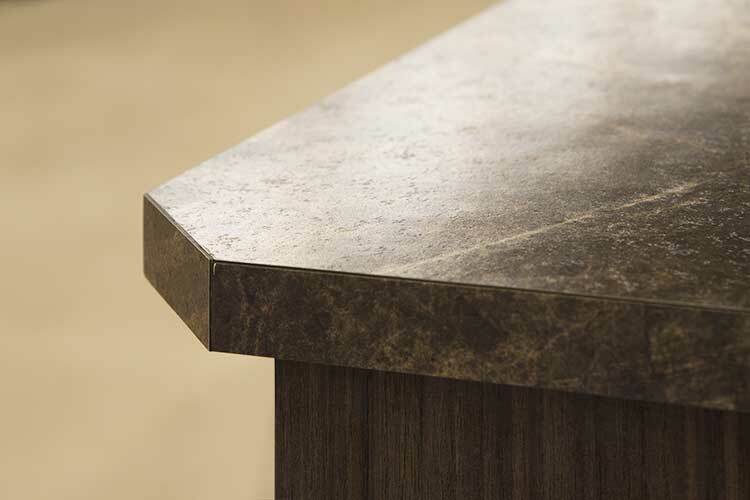 Laminate countertops are available with a straight edge profile, but corners can be clipped or rounded if desired. Sink cutouts, grommet holes, backsplashes or other specialty cuts are no problem. Let us create the best countertop to suit your needs and creative vision. 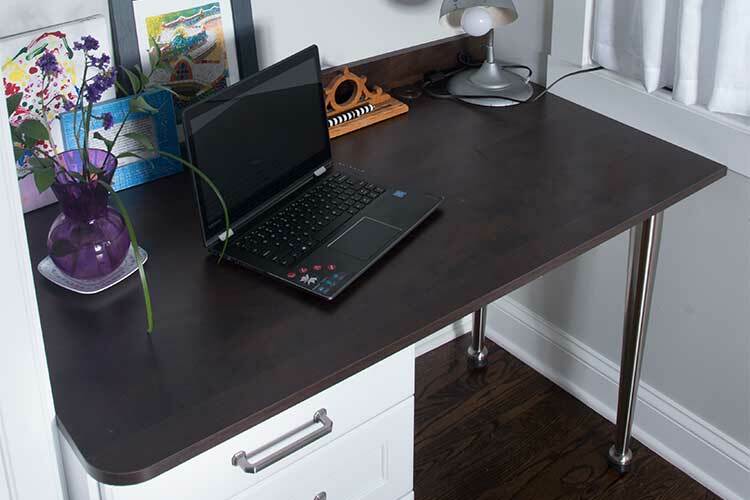 We also offer HPL countertops — a 1" thick heavy duty melamine material — in many laminate colors. 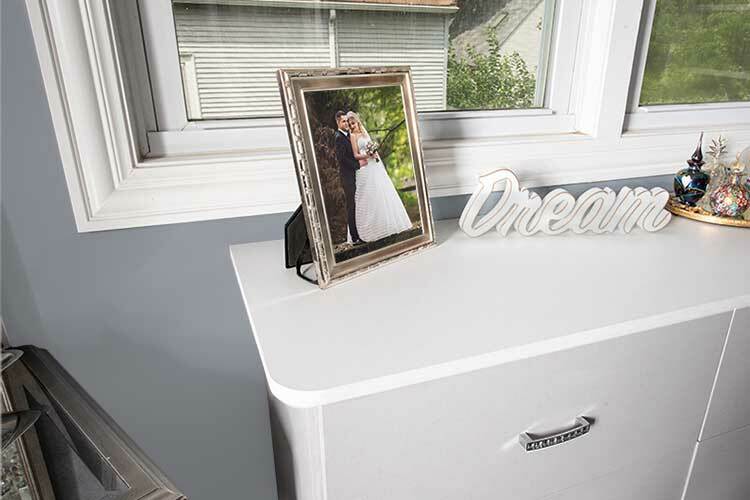 HPL heavy duty laminate available in all Closet Works laminate colors with the exception of the Stylelite® line. Edgebanding for our 3/4" TFL and veneer countertops are available in all 55 matching colors. Please see our laminate and veneers colors reference page for swatches of all our laminate and veneer options.